This product was provided by BBCosmetic.com for review purposes. This review constitutes my honest opinion. Isn’t the packaging for this mask breathtaking? I must admit that is the reason I first became interested in the Dearpacker Black Ginseng Gold Mask. The design is just so gorgeous. The picture above really doesn’t do it justice. All of the gold parts on the design are embossed shiny gold foil. I also thought the ingredients sounded intriguing — black ginseng (not just regular old ginseng) and gold — how very luxe. I’ve heard some buzz on the Dearpacker brand, which is apparently a new and popular brand in Korea, so I was excited to give it a try. So how did the experience of using this mask measure up to the beautiful packaging? Find out below! It was actually kind of a good experience to be forced to type out all the ingredients as it made me investigate the ingredients more closely. This mask is quite heavy on the silicones, as many sleeping masks are, which help it go form an occlusive film over your skin, keeping moisture inside. The third ingredient in the Dearpacker mask, Bis-PEG-18 Methyl Ether Dimethyl Silane, is a silicone wax that looks crystal clear while giving a good slip to the product. I’m not super happy to see silicones so high up on the ingredients list, but at least there are a couple of non-filler ingredients within the top 5 spots. Niacinamide, which brightens and lightens uneven skin tone and pigmentation (and is anti-inflammatory) is fourth, and Ginseng Root extract (1000 mg) is fifth. I love that they include the amount of Ginseng Root extract so you know what you’re getting. However, to put it into perspective, Ginseng extract comes 5th in the ingredient list, and it includes 1000mg, or 1g of ginseng, spread throughout 100g of product. So ginseng is about 1% of the product. That means that everything that comes after ginseng on the ingredient list is less than 1%. It also means, presumably, that Niacinamide is more than 1% of the product. Let us hope so, although as Tracy at Fanserviced discovered, Korean ingredient lists do not necessarily follow the same rules as US ingredient lists. The Dearpacker Black Ginseng Gold Mask is meant to be used as a sleeping pack, which means you apply it as the last step of your routine and leave it on overnight, to be washed off in the morning. The mask itself is a thick clear gray gel with tiny gold flecks distributed throughout. It has a medium-strong scent, which is NOT a ginseng scent, surprisingly, but rather a more alpine scent of pine needles and rosemary. I personally like sharp scents like this more than overly perfumey floral scents, so I don’t mind it at all. The scent comes from extracts and oils rather than artificial fragrance. The gel applies with a nice slip but does take a while to dry down. When it is fully absorbed, my skin is noticeably softer, and I was surprised that I didn’t feel much of a filmy residue on the surface of my skin. If you don’t like the sticky or tacky feeling of other sleeping packs, you might like this one, as it doesn’t feel sticky at all. I’ve been using the Dearpacker Black Ginseng Gold Mask for about 2 weeks. I find that it is a light last step that is pleasant to use, and that it helps to hold in moisture, and that’s about it. It doesn’t pack the hydrating + occlusive one-two punch that other sleeping packs provide (like the Mamonde Rose Honey Sleeping Pack or the Sulwhasoo Overnight Vitalizing Mask). It is a little light on both the hydration front and the occlusive front. 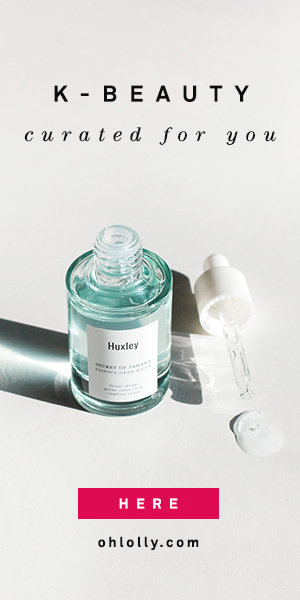 Because it doesn’t form a strong film on the skin, it doesn’t hold in water that well, and its hydrating abilities are limited to water, glycerin, and butylene glycol, something that any average sheet mask or serum can do. I did feel that my face felt soothed and non-reactive in the mornings after I used this mask, but I wasn’t wowed by how plump and hydrated my skin felt. Because my skin is quite dehydrated, I didn’t feel like this mask was quite enough for me. If, however, dehydration isn’t your concern, and your skin is on the more oily side, you might enjoy this sleeping pack more. It is quite light and doesn’t feel sticky or greasy, so it may be a good choice for the summer months. This is a light last step sleeping pack with a pleasant scent (if you like pine needles) that soothes and provides some hydration and occlusion without stickiness. It probably won’t be moisturizing enough for people with dry skin, but I could see it working for people with oily skin, especially in the summer. It is really pretty though. BBCosmetic.com is a relatively new Kbeauty site. I’ve purchased from them (bought a gift for my cousin) and they have a good selection, very good prices, and free shipping (no minimum!). Depending on the products you purchase, they may ship from their US warehouse or direct from Korea. It seems like more popular products are stocked in their US warehouse, so shipping was fast. The coupon code above is an affiliate code which, when used, generates a small commission which will go towards supporting future blog posts. You won’t pay a penny more!